Social Security is dear to us at the Driscoll Law Corporation. Our main focus is on Social Security Disability Insurance (SSDI) and Supplemental Security Income (SSI), two programs which fall under the umbrella of the Social Security Administration (SSA). Such programs help both individuals and families stay above water despite being unable to work. But it is important to remember that the SSA is charged with ensuring that Americans have extra income to fall back on when they retire. Something that many Americans are not fully benefiting from due to student loan defaults. Loans for education are normally associated with young adults in their early twenties, but believe it or not, more and more older Americans are racked with student loan debt. If such people were unable to pay off such debt, a 1996 change in the law allowed earned benefits from Social Security to be garnished. Given that Americans are notoriously bad at saving for retirement, the loss of SSA benefits could mean people might have to live in abject poverty upon retirement. There is a good chance that when reading the above words, you rolled your eyes, or found yourself with an unsettling feeling. Rightly so, people in their 60’s and 70’s who have earned the right to retire are put in a position that could mean having to continue to work. The Government Accountability Office (GAO) published a report which found that the number of seniors whose Social Security checks have been garnished because of student loan defaults has grown by 380% between 2002 (36,000 beneficiaries) and 2015 (173,000 beneficiaries). Approximately 870,000 seniors, aged 65 and older, holding student debt currently have watched their total debt grow by a factor of 10 over a ten-year period, The Motley Fool reports. From $2 billion to $22 billion. 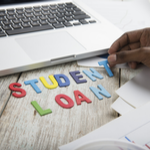 The report showed that seniors who've fallen below the poverty line due to defaulting on their student loans and subsequent garnishments rose from 8,300 in 2004 to 67,300 in 2015. "Americans shouldn't see their Social Security checks ripped away because of the increasing burden of student loan debt. People who have worked hard and paid into the program count on these benefits just to survive -- there ought to be basic protections to defend struggling Americans from having their earned Social Security benefits cut by the federal government." If you, or a loved one could use help with SSA benefits, please contact Stephanie Merritt Driscoll. If you can’t work, have been denied SSA benefits, or are applying for the first time—as a Social Security disability advocate, Attorney Driscoll can help. If you are in need of assistance from one of the various Social Security Administration (SSA) programs, such as Social Security Disability Insurance (SSDI) or Supplemental Security Income (SSI), the first place you might turn to for information is likely to be the Internet. The SSA website is meant to be guide to help access certain benefits that can make or break one’s ability to keep a roof over your head or food on the table. While that course of action is simple in theory, for years countless people have found the process of applying for social assistance programs utterly confusing, which can hinder some from accessing the help they desperately need. Naturally, pleading one’s case for SSDI or SSI is a process that takes some time, there are number of requirements that one must fulfill in order to gain access to the benefits they need. How clearly the steps that need to be taken are explained by the SSA can make all the difference. Your average person is probably not familiar with the language employed by most government agencies, let alone one so vital as the Social Security Administration. Government agencies thus, under the law were required to essentially rewrite, shorten or remove esoteric jargon that might confuse your average American. And in it stead, provide clear and concise information. Information that “the public can understand and use." SSA benefits are vital to millions of Americans, a number that continues to grow with each year that passes. The agency understands and is committed to improving the readability of its websites, notices, PDFs, and public-facing documents. Training employees on Plain Writing, business writing and grammar, and effective writing techniques. 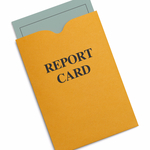 Earning a “B+” for the Writing and Information Design grade on the Federal Plain Language Report Card. Qualifying for disability benefits can be trying, leading to unneeded stress. If you, or a loved one could use help, please contact Stephanie Merritt Driscoll. If you can’t work, have been denied SSA benefits, or are applying for the first time—as a Social Security disability advocate, Attorney Driscoll can help.